Northwest Door is a premier Manufacturer of Steel, Aluminum and Custom Wood Garage Doors. 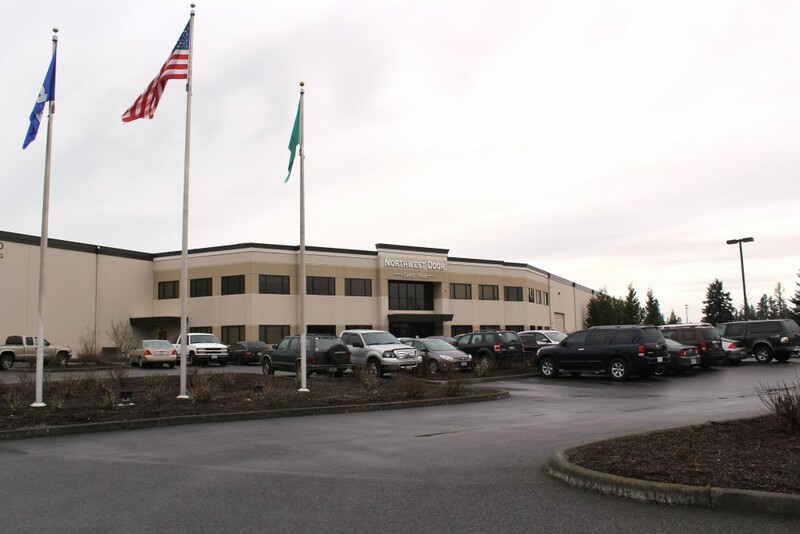 Our Manufacturing division is the core of our company and is located with the Corporate Offices in Puyallup, WA. Our manufacturing division and corporate offices support our customer base that extends across the United States and includes Alaska, Canada and Hawaii. Our company owned Distribution Centers are located in Spokane, WA; Portland, OR; Boise, ID; Denver, CO; Salt Lake City, UT and San Jose, CA. We also periodically have employment opportunities at our Tacoma based Sales and Installation facility. We provide the building industry with high quality, innovative garage doors at competitive prices while maintaining a reputation of quality, reliability and integrity. If you are interested in working in a team-centered environment, where each member’s unique knowledge, skills, abilities and efforts define our success as a company, then Northwest Door is an ideal employer for you. Northwest Door is an Equal Opportunity Employer with a diverse employment environment.